Please bring 1 of the following: a passport, Japanese driver’s license, or a Japanese residence card. ・A deposit of 3,000 JPY is required when renting a yukata. ・You must return the yukata before 10 pm or your deposit will not be returned. 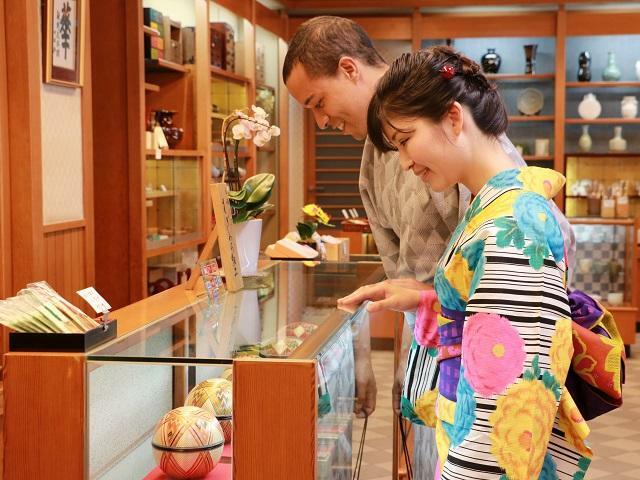 ・If you want to purchase a yukata from the shop, prices start from 3,996 JPY. 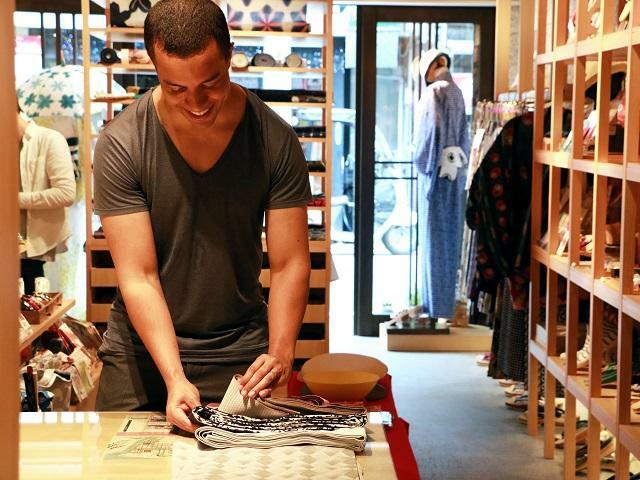 Choose from a wide selection of yukata to find the style that suits you best. Hair-styling (for women) and accessories are also included. Pick an obi (Kimono belt) that goes well with the yukata that you chose. 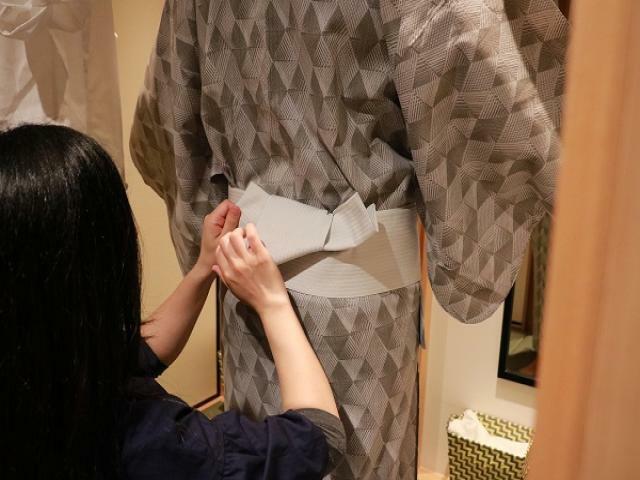 Experienced staff will help you change into the yukata. 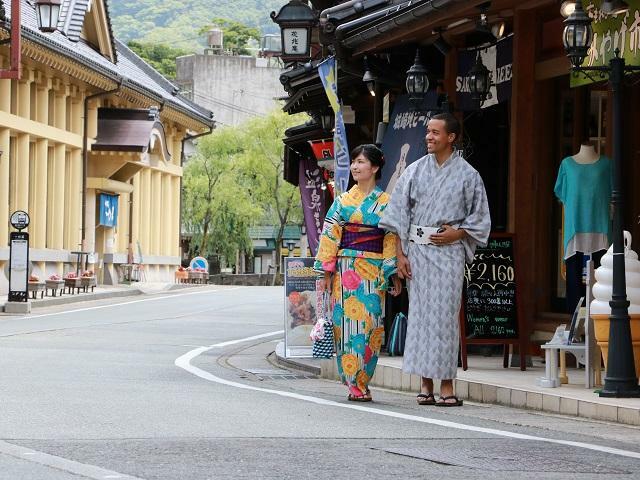 Exploring the town in a stylish yukata will make your stay in Kinosaki Onsen more enjoyable and memorable. 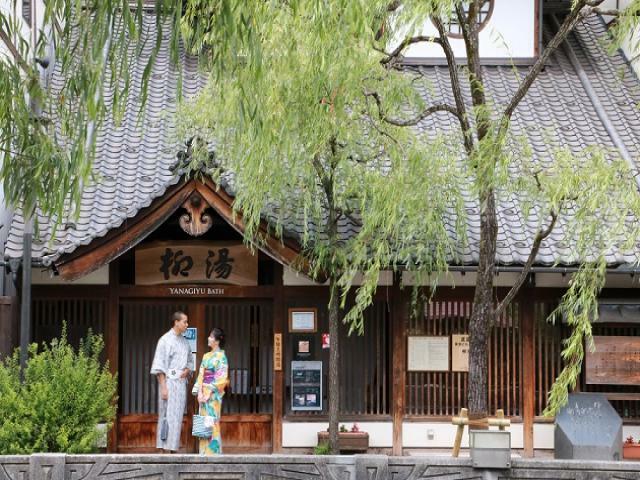 Discover Kinosaki Onsen's charm in this comfortable, chic, and traditional Japanese clothing. Capture beautiful moments and create wonderful memories to bring home with you of your visit to Kinosaki Onsen.